The Netherlands has a wealth of cultural and historical heritage and is renowned for its windmills, painters, clogs and famously flat lands. A modern European country nowadays, it preserved its highly international traits. Its small area, welcoming attitude to travelers and many sights make it a really unique and fairly easy to discover destination and a superb addition to any European trip. 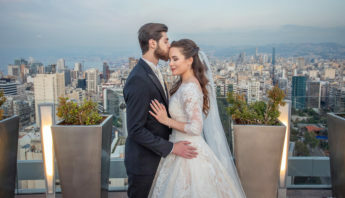 It can be difficult to get legally married in the Netherlands if you don’t have ties to the country, thus it’s important to check the requirements for a Dutch wedding. Only civil ceremonies are legally recognized in the Netherlands. 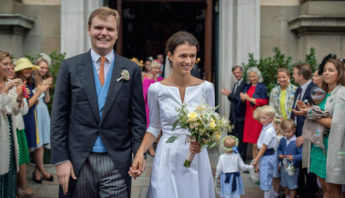 After the civil ceremony at the registry office, couples often have a religious part of their celebration. An average wedding costs about 12-18,000 euro in the Netherlands or Amsterdam – the more guests, the greater the cost. Venues usually charge a certain amount per guest at the reception, at the dinner and at the party. A dream wedding with all the trimmings can easily cost 25,000 euro in Holland. Photo: Weigert Images, you can view the whole series here. Application for a date to get married is typically free of charge. There may be charges if additional documents are required. Dutch town hall documents cost 300-500 euro, depending on the municipality, however there are countless cities in the Netherlands where this service is free. In some areas (including Amsterdam) free civil wedding/partnership ceremonies are offered at certain times, otherwise you might be required to pay a small fee. Would you also marry in church, then the cost is approximately 70-600 euro, depending on whether you are a member of the denomination. The most expensive part of a wedding in the Netherlands, especially Amsterdam is the venue and catering, which cost 3,000 to 6,000 euro. Catering costs 800-2,000 euro (coffee, pastries, drinks and dinner in case of 30-40 people). Buffet is often cheaper than a special menu, in case of buffet we can count with 25 euro per person or 35 euro in case of dinner. Wedding cake is 4-6 euro per piece, while an additional reception is around 15 euro per person. 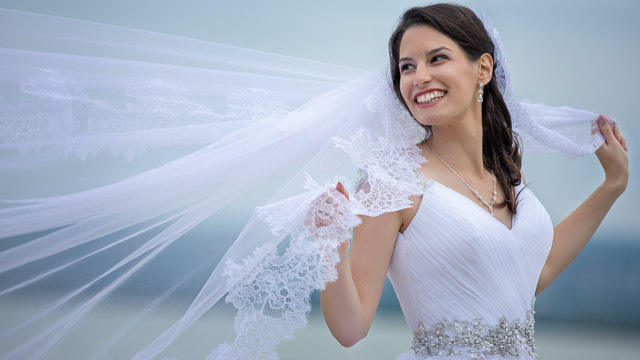 The bride’s dress costs 500-2,500 euro, but you can save money on the wedding dress by rental. Renting a dress costs between 250 and 500 euro for a day. Clothing for the groom costs 500-1500 euro, but you can save a lot by renting a suit, which costs about 100 euro. Wedding rings are essential for a wedding, they cost 500- 2,000 euro in the Netherlands. Dutch bridal bouquet prices are between 100 and 250 euro. Flowers, decoration are also important for your wedding day, they cost 300-500 euro. If you want to arrive in a fancy car on your wedding, you can rent one. You pay approximately 350-500 euro for the service. Hairdresser and makeup artist prices vary, but on the average you pay 100-275 euro. 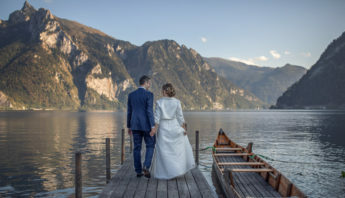 A Dutch wedding photographer costs 1,200-1,500 euro, Weigert Images also takes wedding photography assignments in the Netherlands and Amsterdam. Please check our portfolio and feel free to contact us. A modern wedding film with 2 cameramen costs 1,500-2,000 euro, we are also available in the Netherlands to offer you wedding cinematography. Regarding music and entertainment, you can hire a DJ from 500 euro. Of course a live band is more expensive, starting from 1,000 euro. Wedding invitations cost 200-300 euro, but you can save a lot by searching for good deals or by delivering the cards to the addressees personally. If you want to give everyone a Thank you gift (wedding favor) after the wedding, it costs about 150 euro. You can save some money by being creative and making something, or by asking someone to do it for you. If you want to spend your wedding night in a luxury hotel after the wedding, that costs about 300 euro. Also don’t forget the honeymoon, which might be quite expensive around 2500 euro.